Numerous forts, palaces, temples, monasteries and residences of heritage prominence are found all over the state of Himachal. The thousand year old Buddhist monastery of Tabo in Spiti with its fine wall-paintings and stucco statues has been declared a World Heritage Site by UNESCO. The village of Pragpur with its age-old and well preserved architecture and cobbled streets has been declared a ‘Heritage village’. Many of Himachal’s forts, palaces and residences are privately owned, and naturally, the discretion of their use rests with their owners. Yet, we are proud to have them as a part of our rich heritage. Atop the highest point, at1,980 m, embellished by the woods of deodar and ban trees, is the Bahadurpur Fort near Tepra Village in Paragana, about 40 km from Bilaspur. Built under the reign of Raja Keshab Sen in 1620 AD, the fort speaks of a past when defending territory was of uttermost importance for the rulers of Bilaspur state. From the fort’s vantage point, Naina Devi hill station, the plains near Ropar and hills of Shimla are visible in the distance. Due to its elevation, the fort sometimes gets a spray of snow which adds to the mysteries around its ruins. 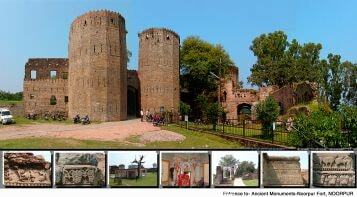 A strategically built hilltop fort near Bilaspur still resonates of the glorious past it had. Not only does the Satgarh Fort have a very commanding position, the views from the fort ramparts are deep and magnificent but the artefacts, which include idols of five deities and the huge vessels for storage are now preserved at the Bilaspur museum. Ratanpur fort near Mailthi village on the Brahmapukhar-Jamli road in Bilaspur can be reached by an arduous uphill trek through Khui village. The fort has a Devi temple, and the goddess is still worshiped with deep sanctity. In Swarghat, a small town on the Chandigarh-Manali Highway, Fort Mundkhar can be reached by climbing the Dar Barkha hill. The small fortress is hidden behind the trees, but a closer look reveals that the structure is still strong enough to have withstood the onslaught of time. On the way from Bilaspur to Ghumarwin a detour at Harlog takes you to the twin forts of Tiun and Sriun placed atop two mountain ranges that face each other. The forts embody strong bulwarks and towering pillars. Sriun fort is spread across the hill and has a scenic view of the valley down below, while the Tiun fort finds itself stationed in an isolated and desolate spot. With open valleys on all sides, the fort was once a watch-post of the rulers of Chamba to detect early enemy movement from the plains. Spread over a large area, the fort sits on an abyss with a dizzying fall on the western side. The wide views from this vantage outpost did protect the hill principality and now draws tourists to soak in the panorama. Taragarh and Lodhargarh forts are two feathers in the cap of Chamba valley. Taragarh Fort is situated on the Kakira-Chowari road atop the Bainia village in Taragarh panchayat. The fort can be reached by a moderate grade trek that passes for about two-and-a-half kilometres through thick bushes, boulders and narrow goat paths. Lodhargarh Fort was built by Raja Ganesh Varman and in that era was known as Ganeshgarh. The four walls are intact, acting as witness to time but the insides are all broken and have fallen apart. The fort was probably constructed as a check post or watchtower and for storing provisions and water to sustain a small battalion. From a summer resort of the Katoch rulers of Kangra, the Sujanpur Fort, 24 km from Hamirpur town, was made the capital of the kingdom by Raja Abhaya Chand. He had this fort built in 1758 AD. Popularly known as Sujanur Tihra Fort, it is worth a visit. In the early 19th century Raja Sansar Chand made this fort palace his home. From here he patronized the arts and artists that has given the Kangra School of miniature paintings world fame. One of the largest and the oldest forts in the Indian Himalayas, Kangra Fort built by the royal Katoch Dynasty, dates back to the ancient Trigarta Kingdom, which even finds a reference in the Mahabharata. Also known as Nagarkot fort, it lurks above a flat mountain range with the torrential Bangana river and Patal Ganga embracing each other in the valley below. Spread expansively over an area of 4 km, the fort guarded by high walls and ramparts was severely damaged in the devastating Kangra earthquake of 1905 that practically flattened most building and monuments in the region. Yet many valuable stone sculptures, carvings, idols and other artefacts survived the tremors and are well preserved at the Maharaja Sansar Chand Museum at the fort. Within the fort walls are three temples – Ambika Devi Temple, the Shitlamata Temple and Lakshmi Narayan Temple. A staircase from between the Ambika and Shitlamata temples leads to the Sheesh Mahal at the edge of which is installed a polygonal watch tower. The fort is only 22 km from Dharamshala. Haripur fort built by Raja Hari Chand of Kangra in Guler is set in a strategic place on the Dhauladhar range. With Banganga, a stream flowing on three sides of the fort, the scenic location has become popular with tourists. Founded around 1464 AD, Guler’s twin town Haripur is believed to be the site where Kangra miniature paintings were first made before the art form spread across the land. Travellers from different times have documented in travel accounts that Haripur was once the cradle of Kangra paintings, and that Haripur fort was decorated with carvings, sculptures and fine paintings. Kotla fort standing on an isolated peak looking around the deep valleys is a heritage monument on the Pathankot-Mandi road at Latehr. The fort was built by the Guler Rajas and is approached by an uphill climb that goes through dense pine forests. At the main entrance is the Bagulamukhi temple, one of the incarnations of Durga. A small temple dedicated to Lord Ganesh is besides the main temple. The deep arches of the structure have traces of very fine craftsmanship; paintings and carvings, with three arches and niches standing amid ruins giving the fort a distinct identity. Built in the late 16th century by Raja Basu, Nurpur Fort bearing splendid architectural magnificence is a sprawling fortress spanning across a flat plateau forming the western end of the ridge. The fort overlooks the Jabhar Khud, a tributary of the Chakki rivulet and the valley formed by it. On the inside, crumbling palace walls have deep niches, decorative arches and faded paintings. The northwest walls have panels with deeply engraved animal depictions. In particular, the bulls in various actions like pulling a cart, or walking in a file are attention grabbing. The walls also have beautiful figures of men, women, children, kings, gods, goddesses and birds inscribed on them. A kilometre above Sangla village stands the towering hill fort of Kamru. This five storey wood and stone structure, resting on a stone platform in Kamru village, was the original seat of the rulers of Bushair. The main gate of Kamru, a dense cluster of houses surrounded by fields and orchards, has an image of the Buddha, whose blessings are sought before entering the confines of the village. A series of low gates through the hamlet lead to the fort. It serves as an excellent example of an architectural style that is unique to this part of the world. The stronghold has an image of the Hindu deity, Kamakhya Devi (Kamakshi) installed in the upper storey. This image is said to have been brought here several centuries ago from Assam. Situated at a dizzy height in Labrang village, the strategically built fort is one of the tallest structures in whole of Kinnaur. Resting on a 25 feet stone base the structure is 8 stories high but only 5 stories are in good shape, the 6th storey being half broken. An iron chain hanging from the upper story is fixed with the solid wooden door of the fort. Morang fort, on a high hillock near the village by the same name, on the left bank of River Satluj, has an air of mystery to it. The wooden extending beams and wooden pillars of the verandah of the top floor indicate that there used to be another floor above it. The entrance door and the doorframes of this mystic fortress have wood carvings which give an idea about the power that this structure must have commanded at one time. The colossal Sapni Fort in village Sapni was built by Raja Padam Singh of Rampur. The castle, facing Kalpa, is a large structure made by binding together two buildings. The main tower of one building is 7 storey high and the other one has 5 storeys. There is a temple to goddess Kali in one of these buildings. Raja Padam Singh built the front portion of the fort featuring exquisite woodwork on the main door frames and on window frames, adjoining the tower built for the queen. Although rain, snow and cold weather condition in the region has taken a toll on the carvings, the fort still retains much of its architectural magnificence. The Naggar castle is a large timber-bound structure built in a style indigenous to the Western Himalayas. The structure makes use of big logs and stones placed alternately, with the stones bound together by mud. The deodar or spruce beams are placed horizontally and inlaid with stones to give the structure inherent strength. Roof of the fort has a slant and the icicle-like wooden hangings act as decorations. From the castle one can watch the distant snow-covered peaks, the beautiful Beas valley and the lush green hillsides marked with orchards. When seen from the valley below it seems like a lanky building, but on reaching, one finds it to be just one besides the road. Presently, Naggar Castle is maintained and run as a Heritage Hotel by Himachal Tourism. Lahaul’s sole fort, Gondhla, built in a dreamy location at Purd, on the Manali-Leh Highway, was constructed by Raja Ram Singh of Kullu in 1700 AD. The 8 storey towering fort made of stone and wood, overlooks the Chandra river valley. Its seven storeys have rooms while the eighth storey has a wooden verandah running round the edifice. The staircases of the structure are partially notched wooden logs and it has apartments which can comfortably accommodate more than 100 people. The Gondla Castle houses antique items like bows, arrows, quivers, catapults, guns and canons beside age-old costumes, furniture and idols. One article of great historical significance here is the Sharab Raldi, i.e., “the sword of wisdom” (Sharab means wisdom and Raldi means a sword), which in Sanskrit is called Pragya Kharga. This sword of wisdom has great relevance for Tibetans who believe it to be the weapon of Lord Manjushri. In the open valley of Pangna, a village in Karsog Tehsil of Mandi District, stands tall the Pangna fort which is a tower-like structure on a 50 foot stone platform overlooking the village spanning on its either side. The 60 feet high, seven storied tower-like fortress built in a typical style, using only wood and stone has a classic charm. The elaborate wood carvings throughout the structure have suffered little damage, even after so many centuries. In the open courtyard there is a Mahamaya temple which is of religious importance for the pilgrims who visit Pangna. Kamlah fort firmly footed on the jagged ranges of Sikandar Dhar, in Mandi was an outpost the rulers of Mandi had to keep a watch on enemy movements. Named after Kamlah Baba, a local saint, fortification was started by Raja Hari Sen around 1625 AD and completed by his son, Suraj Sen. The spread-out complex actually contains six forts: Kamlah, Chawki, Chabara, Padampur, Shamsherpur and Narsinghpur. The main entrance to the fort is a labyrinthine which ensured the fort remained invincible for centuries. In 1840, it was invaded by Bentura, a general of Maharaja Ranjit Singh but in 1846 it was restored to the kings of Mandi. This fort is 15 km from Nahan and it crowns a steep ridge above the Kiarda Dun. Built by the Sirmaur kings, it was run over and restored by the Gurkha general Ranzor Thapa during the Gurkha invasions of early 1800s. The Gurkha general battled the British forces from this fort but lost out. Presently used as a Army Training Center for Gurkha recruits, the fort at Subathu is another remnant of the times when the area was invaded by Gurkha warriors at the turn of the 19th century. Just 16 km from Parwanoo, this fort is believed to have been built by Commander Amar Singh Thapa, the Gurkha general who the British defeated in 1814-15. The small fort is set in the woods. The Gurkha Museum in the vicinity has exhibits dating back to the fierce Anglo-Gurkha wars fought. The hilltop Nauni Fort, 15 km from Solan, was a watch tower and a retreat during times of an invasion in the valley. 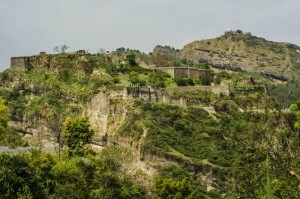 The fort can be reached from Nauni village on the Solan-Rajgarh road. Explorers who take the trouble of trekking to the hill are rewarded with some breathtaking views of mountain vistas. 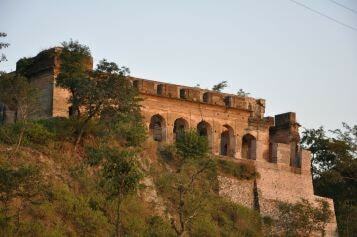 Malaun fort is in Solan district which can be reached from Bilaspur as well. On the Shimla-Bilaspur highway, taking a diversion from near Brahmapukhar, on the Maithi-Lalgarh road, one can get a glimpse of Malaun Fort above the village. High on a hill, it can only be reached by trekking to it. Ruins of the fortification are spread over a large area and there is a temple of Kali in the premises. The fort was overtaken by Gorkhas and it was the British forces under Sir D. Ochterlony that fought a pitched battle at Lohar ghat near Malaun to occupy the fort. The cannons used in the battle were kept at the fort but have now been brought down to the Gorkha Training Center Museum in Sabathu. Located at a distance of 34 km from Solan, the oldest sections of Kuthar Fort are over 800 years old. The most recent structures are about eight decades old. The fortress is spread over a large area and fresh-water springs flow within its confines. Within easy reach of scenic Kunihar valley, the hill station of Kasauli and the Gurkha fort of Subathu, Kuthar Fort are on a offbeat itinerary that few travellers take to readily. One of the largest buildings from the times when Himachal was under the rule of Princely states, Rang Mahal of Chamba is a fusion of Mughal and British architectural styles. Construction of this large palace was started by Raja Umed Singh (1748-1764) but a brick made superstructure was only added towards 1860 by Raja Sri Singh. The large royal complex served as residence for some members of the ruling family. On the western side is what used to be the granary and a treasury. The building is still in use and under the aegis of state handicrafts department, training workshops for making shoes, chappals and rumals are being run in some large rooms. Some of the decorative and colourful wall paintings that were removed from this building are displayed at the National Museum in Delhi. The Bhuri Singh Museum in Chamba also has a collection of some paintings and artefacts of Rang Mahal. The Akhand Chandi Palace, overlooking the chaugan ground, is better known as the Chamba Palace. Foundation of this palace was laid by Raja Umed Singh (1748-64). The palace has delicately carved doors, balustrades and window frames of intricate wood with painted glass work. The massive Darbar Hall, also called the ‘Marshal Hall’ was constructed in 1879 by Capt. Marshal and the Lamina Mahal was added by Raja Bhuri Singh at the start of the twentieth century. This striking colonial style palace at Jandrighat near Dalhousie is a typical European double-storied bungalow built in 1870-71 by Raja Gopal Singh. The structure stands amid thick pine trees and a sprawling laid garden, which makes the entrance to the bungalow decorative. The palace has antique paintings and other decoration pieces of historical significance. Sultanpur Palace, residence of the erstwhile Kullu royal family is just a stone’s throw away from the main town. Also known as the Rupi Palace, this palace built in traditional hill architecture style, exhibits works of fine artistry in wood carved interiors and exteriors. The palace walls are adorned with a nice collection of Pahari miniature paintings, with many of them depicting scenes from rural Kullu. Part of the palace has been converted into a heritage hotel called the Raj Mahal Hotel. On the inside there is some period furniture, wall hangings, paintings, photographs, swords, shields and body armour. Chail, a salubrious hill station on a forested range, was founded as a summer residency town by the former Maharaja of Patiala. Chail Palace, set on a ridge, has a regal setting with spectacular views, plush lawns and aesthetic interiors. The Palace bears a European architecture and is now maintained and run by Himachal Tourism and is a heritage property. Built in 1917 by Raja Padam Singh, the erstwhile ruler of Bushair state, the palace displays a fusion of hill and colonial architecture. European and Indian design themes are apparent in the wooden structure, galleries, verandas and the roofline of the building. The stylish conical roof and the white painted eaves gives the building a distinct look. Front door is painted in white and the Belgium glass work compliments the design. On the inside, this palace has some fine stained glass windows, great woodwork and a rich library. Kotkhai palace built by King Rana Saab is on a narrow cliff formed by two streams, with one of them being the Giri Ganga river. The palace bears a Tibetan style architecture that dwarf the nearby houses by its sheer size. Designed by a French architect in 1930, the imposing Jubbal Palace is a mix of Chinese, Indian and European style architecture. The main entrance of the palace is through a huge wooden door embellished with copper coins. Besides the beauty of the mansion, antique furniture, rare guns, artefacts and a library with a collection of Sanskrit and Persian books are part of the palaces valuable possessions. An older palace that was within the complex was gutted by a fire. The Palace is a residence of the former rulers of Jubbal state. The Palace within the Arki fort was built between the years 1695-1700 by Rana Prithvi Singh. Arki was the capital of Baghal princely state. In 1806 invading Gurkha forces overran Arki. Liberated after the conclusion of the Anglo-Gurkha wars in 1814-15, but many paintings and other artefacts surprisingly survived unscathed from plunder of the invading forces. A good collection of miniature paintings of the Arki Kalam are housed in the Palace. It also has many good wall paintings, which have stood the test of time as the glazed paint used still appears fresh even after centuries when they were first painted. At Sunni on the bank of Satluj river, near Tattapani, is a pyramid-shaped palace that flaunts a sprawling wide base with a two storied structure over it. The design of the palace is a combination of colonial and Pahari architecture, exemplified by cones, frills and turrets. The palace belongs to the former royal family of Bhajji princely state. Overlooking the gorge of river Satluj and facing some stunning spiraling peaks across the valley, the Sarahan Palace has captivating surroundings. The building displays a blend of Pahari and European style architecture with rubble masonry layers and cedar wood beams has a simple exterior. The palace is the summer residence of the former rulers of Bushair princely state. The imposing palace, strategically built atop a hillock in 1421 AD by Raja Bikram Chand is spread over a large area. At the foothills of the Himalayas, the views from the palace span a wide area of the plains. It has a series of structures mostly carved in Mughal style architecture. Owned by the former royal family of Nalagarh, the palace has been painstakingly renovated and converted into a heritage resort. In the upper reaches of Dharamshala town, with an unimpaired look of the lusciously green Kangra valley, is the Cloud Ends Villa, a summer residence of the former rulers of Kangra. This extensive property, spread over acres, with its own step field, gardens and forests, still displays the royal elegance of its owners. A summer resort of the formers rulers of princely Jammu state, the Palace at Taragarh, near Palampur was built in 1931 by Nawab Sadiq Mohammed Khan Bahadur in the name of Maharani Tara Devi, queen of the princely state. This splendid art-deco mansion set amidst expansive grounds that host jungle camps and a memorabilia of the past adorning its elegantly appointed rooms has been converted into a heritage hotel. With hewn stone neatly packed in a horizontal mesh of timber sleepers, the medieval Naggar Castle was built by Raja Sidh Singh of Kullu in 1460. Perched high on a cliff, this was the vantage point from where the rulers administered Kullu valley for over two centuries. Now turned into a resort, the Naggar Castle boasts authentic western Himalayan architecture. Himachal Tourism operates a heritage hotel in this castle. A manor crafted in the colonial style architecture and still owned by the former ruling house of Mandi, the heritage Hotel Raj Mahal Palace is partially concealed from view by other nearby buildings. With corridors dotted by ancient arms and portraits, its interior echoes a time and era of another age. Striking pieces of ornate furniture placed at every nook and corner of the palace give it a historical significance. 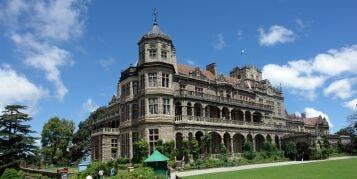 The Holme situated at Summerhill in Shimla is a place that basks in its heritage rich architecture. This colonial bungalow was the one-time residence of the renowned artist Amrita Sher-Gill where she painted some of her most celebrated creations. The beautiful ‘hill station’ of Chail is renowned for its splendid mansion encircled by picturesque cottages and deodar forests that present panoramic views on all sides. The heritage property served as a summer residence of the former royal family of Patiala. 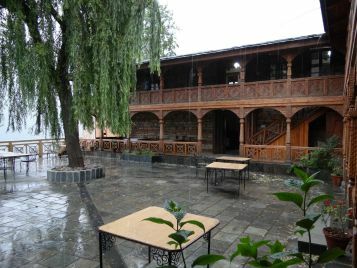 It has been converted into a heritage hotel that is being operated by Himachal Tourism. A memorable gateway that embodies the colonial charm of Shimla, the Oberoi Cecil was built in the 1880s. Situated on the quitter western stretch of The Mall road, the property gained popularity as writer Rudyard Kipling spent some time here in 1885. The property with warm woodwork complemented by the rarest furnishings and a full range of suites, rooms and facilities, comparable with the best in the world, make it a grand heritage hotel. On the eastern side of Shimla, Hotel Springfield located in Chota Shimla, is the refurbished heritage bungalow which offers a sublime experience to travellers. With an excellent view of Churdhar Peak, Springfield was the residence of the former chiefs of Sheikupura. Towards the eastern side of Mall Road is the Clarkes Hotel, which bears the tag of being Shimla’s oldest hotel. The heritage property having neat Tudor-framed structure with window boxes, was built in 1898 as The Carlton. In the 1920s it was taken over by Ernest Clarke and named The Clarkes. Over the years, this historic building has undergone structural modification, yet it retains the character and warmth of colonial era buildings. Once called Khud Cottage, Madan Kunj built around 150 years ago is another colonial cottage in western Shimla that resonates the grandeur of the past. During World War II, when Burma was under Japanese occupation, this building served as the summer residence to Governor of Burma. Today, the bungalow serves as a peaceful abode for travellers who want to bask in the glory of the yesteryears. The small hilltop town of Kasauli has many heritage bunglows and other colonial buildings scattered about. Two heritage cottages, Ros Common bungalow and Hotel Alasia, bearing the old world charm with their gabled roofs, embodied by lush gardens, narrow cobbled paths shaded by oak, pine and massive horse-chestnut trees are run as hotels by Himachal Tourism. Originally built in 1835, Chapslee perched atop Elysium Hill on northern side of Shimla has a magnificent interior with priceless artefacts adorned in every wall one can set eyes on. The architecture echoes the amalgam of British, Indian and European aesthetics which are well complemented by the ornate brass beds, Belgian chandeliers, drapes from the Doge’s palace in Venice, Delft tiled fireplaces and exquisite rugs. The Burma teak used in the panelling is the same one that was used for the construction of Viceregal Lodge at Shimla. Over the years Chapslee became the property of Raja Charanjit Singh of Kapurthala, whose descendants now run it as a heritage hotel. 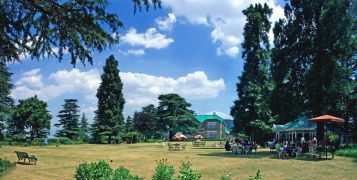 Beautified by a hillside draped in tall Himalayan cedar trees, Hotel Woodville Palace is a grand art-deco mansion. During the 1865 – 1881 period, the estate was residence of Sir William Mansfield, the British Commander-in-Chief of the Imperial army. In 1938, Raja Sir Bhagat Chandra of Jubbal replaced the old structure with the present day mansion. Terraced lawns and a facade covered with trimmed Virginia vines is well complemented by an evocative interior – complete with rare artefacts, paintings and photographs. It is near Rajbhawan, Chota Shimla. 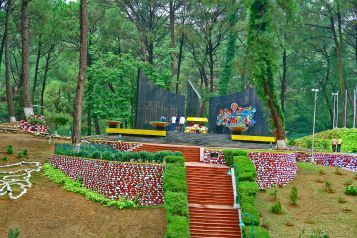 Set amidst the pine timberland, Dharamshala War Memorial is the gateway to history paying tribute to the brave hearts who relinquished their lives to safeguard the motherland. To reach the war memorial, one can enjoy a stroll through the beautiful forested area which is a heart pleasing experience in itself. The architecture of the memorial is carefully laid, signifying the continuity of life and the fact that sacrifice and valour of our martyred soldiers will remain etched in our memories. Three huge panels of black marble are engraved with the names of martyrs who fought selflessly in the operations of 1947-48, 1962, 1965, 1971 and other peacekeeping missions, bearing testimony of their supreme sacrifices. In the confines of Kangra Fort is the small yet impressive Maharana Sansar Chandra Museum, displaying the opulence of times when kings ruled. Here one can find ornate palanquins, ancient weapons like swords, silver-framed beds, exquisite thrones, beautiful wall murals, Kangra School miniatures, before-and-after photographs from the 1905 earthquake and lavish royal attires. As the name suggest, the museum built by the erstwhile royal family of Kangra is dedicated to Maharaja Sansar Chandra who inherited the throne at the age of 10 years. Raja Bhuri Singh, a former ruler of Chamba, in his lifetime (1908 AD) did set up this museum that has a fine collection of rare paintings, coins, jewellery, musical instruments, artefacts, traditional arms & armours, and other artefacts On permanent display are the families personal collection of miniature paintings. There are also some rare copper-plate inscriptions and other historical documents preserved in this museum. Once the private residence of Lord William Beresford, a Victoria Cross decorated soldier, the colonial mansion in Shimla was turned into the Himachal State Museum in 1974. Just 2.5 km from town centre Scandal Point, the museum treasures some rare artistic, archaeological and historical artefacts. On display are Greek coins from the time of Alexander The Great’s invasion in 326 BC, Himachali dolls, paintings, photographs of historical moments collected from all over the country and a library treasure with over 10,000 books, journals and magazines. The sculpture gallery features metal, wooden and stone sculptures while the paintings section has Mughal, Pahari and Rajasthani paintings. Built in 1888, the Indian Institute of Advanced Studies before Independence served as the Viceregal Lodge, and was the seat of pre-eminent power of British rule. This architectural marvel is an English renaissance inspired grey-stone structure with Burma teak panelling on the inside. The structure surrounded by age-old trees, lush green lawns and gardens has a small museum which preserves artefacts, documents, photographs and other items that have shaped the history of modern India. There’s a library of historical books and the iconic round table where some critical conferences related to India’s freedom struggle were conducted. Dedicated to Baba Bhalku – a local man who worked closely with Chief Engineer HS Harrington and his team on the Kalka-Shimla railway line, the iconic Baba Bhalku Railway Museum located near the old Bus Stand, Shimla reverberates tales of the heritage track. On display are several items and train parts that date back to early 20th century. The things displayed include steam locomotive headlights, brass lamps, lanterns, ticket punching machines, fine glassware, labels worn by porters, antique wooden chairs which were placed in the rest rooms at the stations, and vintage wall clocks manufactured in England. One of the oldest objects displayed is a rail liner used on the track dated to 1899 AD. This treasure cove also has rare old photographs, important stations and the tunnels en route. The museum is open to visitors from 9:30 am to 4:30 pm on all days, except Mondays. One interesting thing on display is the lost property register of 1930, which accounts all the lost items like bags, umbrellas, caps and coats left, found in the station waiting rooms or the trains. 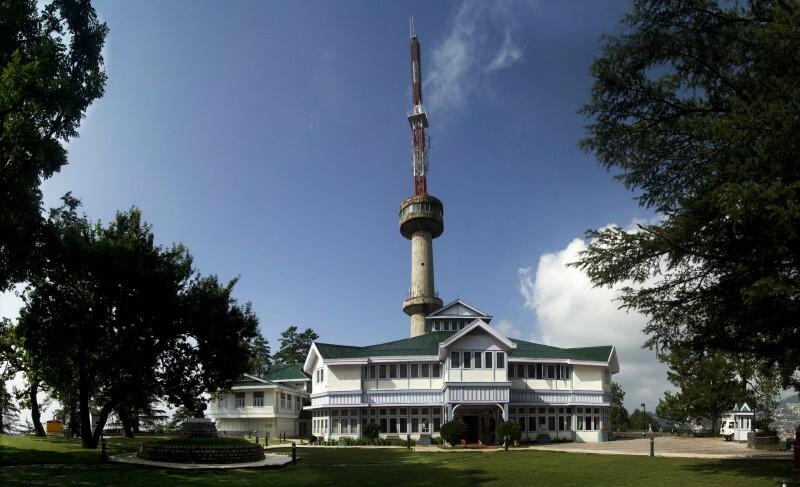 Located abreast the tranquil hinterlands of Annandale ground, the Army Heritage Museum was established by the Army Training Command in 2006 to commemorate Himachal’s long lasting association with the Indian Army. It is a rich repository of the Army’s heritage, traditions and valour. The free-to-visit museum is open on all days except Mondays and gazetted holidays. The Shimla Heritage Museum is in the 1862 built United Service Club building, near The Mall Road. In an exhibition hall, photographs, documents and artefacts about events and the history of British Raj associated with some heritage buildings are on display. The museum is theme based on “Har Ghar Kuchh Kehta Hai” where ‘Every house tells a story’ as a concept has been captured. On the left bank of Markanda rivulet, 21 km from Nahan, discovery of fossil remains of Mesozoic age animals, better known as the age of Dinosaurs spanning from 252 million years ago to about 66 million years ago, did bring the site to international attention. To illustrate its importance, life size fibre glass models of extinct species of hippopotamus, giant tortoise, elephants, giraffes, saber tooth cats, crocodiles and other animals of the age have been put up in a 5 sq km museum park area. The very sight of these models evokes curiosity about evolution and the ages gone by. The park is first of its kind in the country, developed at the actual discovery site of fossils. A museum here exhibits some of the fossil remains found at the site. 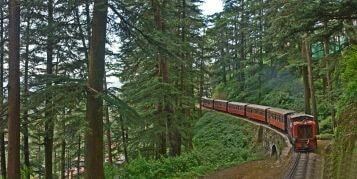 An engineering marvel, the narrow-gauge Kalka-Shimla railway line with 102 tunnels was recognised by UNESCO as an India World Heritage mountain railway site on 8 July 2008. The historical rail line built under Herbert Septimus Harington between 1898 – 1903 has 20 beautiful stations, 912 curves and 969 bridges and 102 tunnels which takes travellers on a journey of a lifetime. The railways locomotives hold great importance from heritage point of view and some of them are immaculately preserved for the generations to come. 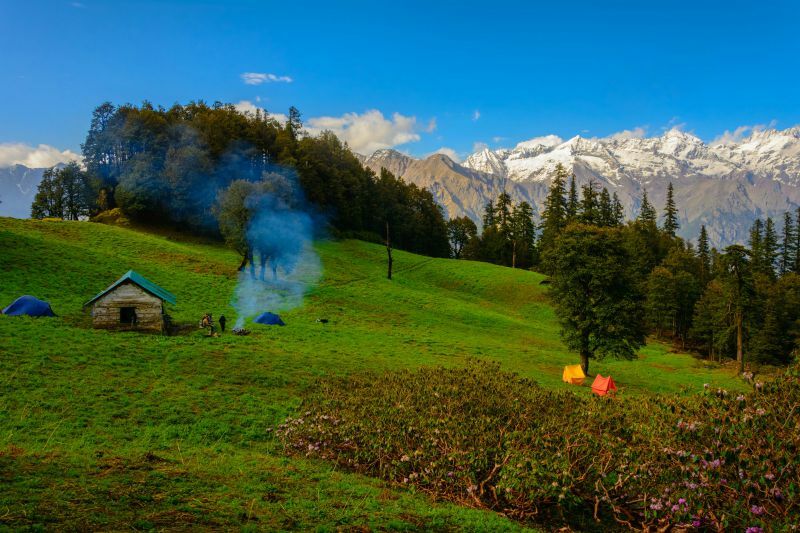 High ridges, valleys with slow-moving glaciers, deep gorges, alpine meadows and closed virgin forests make the Great Himalayan National Park (GHNP) one of the most scenic destinations for nature lovers. The vast 1,171 sq. km wilderness hovering between the altitude of 1500 and 6000 m, harbours an abundance of wildlife which includes the Himalayan Thar, Himalayan Brown Bear, Snow Leopard, Blue Sheep, Western Tragopan and Monal in a landscape filled with fervent water streams and alpine slopes, lulled by stoic snow towers, to make it one of the wildest and most unique ecosystems in the world. It was recognized as a UNESCO World Heritage Site in 2014, a reason no winding roads or paved trails find existence in GHNP.